Last night we returned from a short but great vacation with some friends in a cabin in the Adirondacks. SINCE 1985, Merlyn’s Pen has produced and supported school programs that promote creativity, critical thinking and writing, and self-acceptance. Its most public service since 2001 has been the New Library of Young Adult Writing, which showcases compelling works of fiction and nonfiction authored by America’s teens, grades 6-12. All the works in the New Library appeared first in Merlyn’s Pen: The National of Student Writing, published between 1985 and 2001. The models and standards displayed in the New Library give heart to beginning writers; to advanced teen writers, the Library is an online resource of successful models to explore, engage, and emulate. This summer Merlyn’s Pen introduced a new maritime themed program called Down to the Sea with Pen and Paper. 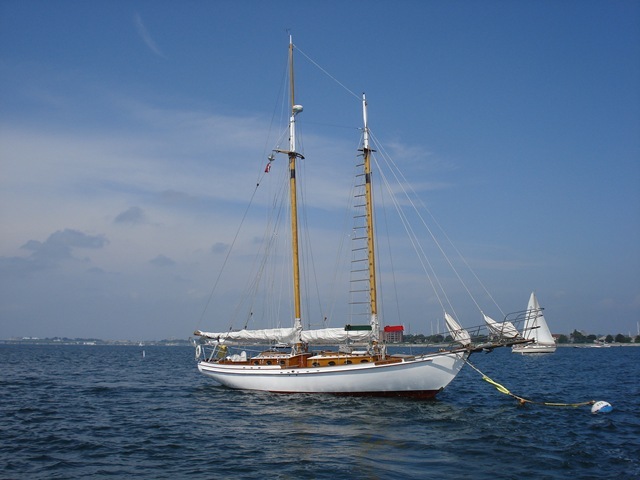 From all accounts this sold out program aboard Ocean Classroom Foundation’s schooner Harvey Gamage was a smashing success in it’s launch year. Nandini Jayakrishna of The Providence Journal Bulletin wrote a great piece entitled Week’s sail a voyage of discovery for teen writers. Stahl’s already hard at work in creating next year’s program. Better hurry before that one fills up too!